Matthews Recreation Area is accessed by gravel road and features a number of picnic tables, grills and a covered dining area. The Yellowstone River can be accessed by canoe or kayak; however no improved boat launch facilities are present. 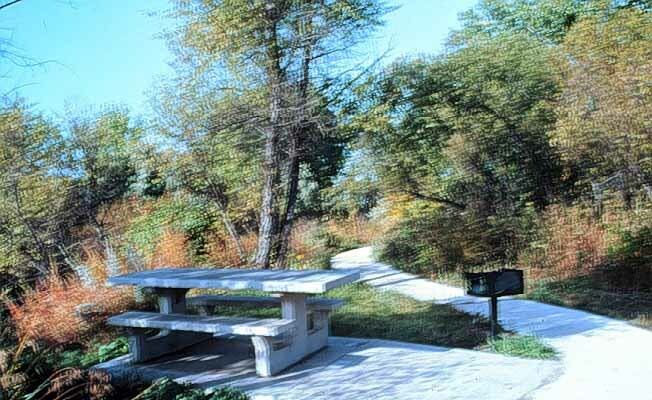 Fishing, bird watching and wildlife viewing are frequent activities at this site. Overnight camping is permitted. This is a 'Pack In, Pack Out' area and all garbage must be removed. No fireworks are allowed. Be mindful of seasonal and area fire restrictions. This is a typical Yellowstone River riparian area where cottonwood, green ash and willow tree species dominate near the riverbank, flanked by open-grassy meadows. A seasonally-running irrigation return canal loops through the area. Facilities: restrooms, picnic tables, fire pits, standing grills, covered picnic area, interpretive kiosk, handicap accessible fishing platform and cement walking path. No dumpsters - all garbage must be removed. Please call the local BLM Office for current recreation site conditions and restrictions.